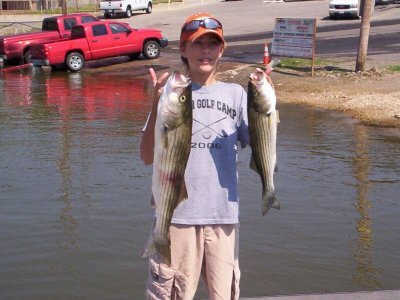 Over the past week fishing on Lake Texoma, I have seen a big change in the size of striper's being caught. Some very good sized fish are being caught early in the morning, just after sunup, on shallow waters, 2 feet and less on "Pencil Poppers". A lot more seagulls are also starting to work the water. It seems that every year around this time they show up overnight.